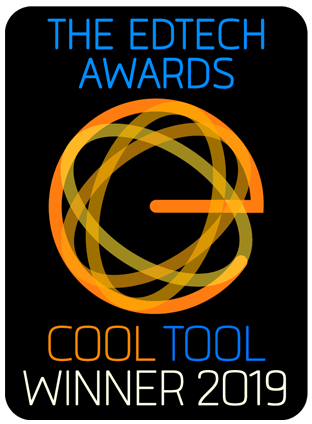 CUPERTINO, Calif., April 3, 2019—Curriki, the CODiE-award winning provider of free online educational resources, today announced that it was named the winner for Open Educational Resources solution in the EdTech Digest Cool Tool Awards 2019. The EdTech Awards recognizes people in and around education for outstanding contributions in transforming education through technology to enrich the lives of learners everywhere. Curriki, a 2017 SIIA CODiE Award winner, hosts a free library of 262,500+ educator-vetted learning materials in all K-12 subject areas and in many formats—from individual lesson plans, instructional videos and units, to games and simulations. All content contributed by educators and select partners is available to others for use, adapt and share at no cost. In addition, Curriki curates resources into course-sequenced, standards-aligned units to enable educators to easily find materials. In 2017, Curriki was given the honor of being named a Finalist for an EdTech Digest award in the category of Content Provider Solution. Curriki, a 2017 SIIA CODiE Award Winner and 2016 and 2018 SIIA CODiE Award finalist, hosts a free library of 264,000+ educator-vetted learning materials in all K-12 subject areas and in many formats—from individual lesson plans, instructional videos and units, to games and simulations. All content contributed by educators and select partners is available to others for use, adapt and share at no cost. In addition, Curriki curates resources into course-sequenced, standards-aligned units to enable educators to easily find materials. The mission of Curriki, a nonprofit organization, is to eliminate the gap between those who have access to high-quality education and those who do not. Its online community of educators, learners, and committed education experts works together to create quality materials that benefit teachers, parents and students globally. With more than 625,000 members, Curriki has reached nearly 15 million users worldwide. Join today at www.curriki.org.